Why Am I Losing Weight Suddenly? Weight loss is affected by several factors including how many calories you consume, your activity level, health conditions, your age, and even your economic status. However, when you have unexplained weight loss this should be cause for attention, as this could mean that you have a health condition that could be damaging your body. There are differing opinions on when sudden weight loss becomes an issue to worry about. However, for this point, most doctors state that weight loss is cause for concern when the person loses 5% of their weight in a time frame of 6 months to a year. This is especially true for those who are older. This means that if a person was to weigh 160 pounds (72 kilograms) and lost 8 pounds (3.6 kilograms) within 6 months to a year, this is considered losing weight suddenly. 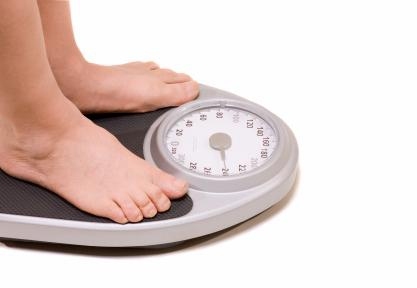 There are times in which unexplained weight loss is due to non-serious conditions. For example, those who switch jobs, go through a life changing event such as a divorce or a death in the family, or are slightly depressed often lose weight. However, in this type of event, once life returns to normal, most people gain the weight back to what they were beforehand. Having an eating disorder can also cause weight loss in a person, however, it is classified as non-serious since it is so simple to get help for this. If you do feel as though an eating disorder is present, then talk to someone that you know or to your doctor about this and get counseling to help overcome this. If you have not tried to lose weight and there is nothing in your everyday life that could be causing the sudden weight loss, then you may have an underlying health condition that could be serious. This means that you should see your doctor as soon as possible. This condition occurs when the thyroid is acting too rapidly. It will result in weight loss, even though a person may eat more or just as much as they used to. The person may also have other issues such as an increased heart rate, sweating, issues with the stomach, sensitivity to heat, problems with sleeping, hair that is brittle, being nervous and having anxiety. This is a difficult diagnosis to make since the symptoms often replicate other issues that could be the underlying issue. This is when the thyroid is under active, which results in the body processes slowing down. In many cases, the person that has hypothyroidism will have appetite changes, along with other changes throughout the body. Besides weight loss, symptoms include sensitivity to cold, fatigue, constipation, hoarseness, thinning hair, muscle aches and joint pain. This can be treated easily with hormones to help regulate the thyroid as it should be working. Diabetes can affect anyone, at any age, though those who are affected are usually older. There are times in which diabetes can cause unexplained weight loss, especially in cases in which the diabetes is not being treated. The person may feel as though they are nervous, hungry all the time, urinate frequently, have blurred vision, have infections frequently, and be irritate when diabetes is to blame for their issues. The weight loss usually occurs despite the fact that the person may be eating more than normal. Addison's Disease has several signs that this is developing including the darkening of the skin, craving salt, having weakness in the muscles, severe fatigue, no appetite, low blood sugar, low blood pressure, depression, pain in the muscles and joints, loss of body hai and stomach issues. Due to the stomach issues and having no appetite, a person can start to lose weight rapidly and suddenly that leads to concern by those who are around them. There are several cancers that have weight loss as one of the main symptoms. Sudden weight loss is often associated with ovarian cancer, colon cancer, pancreatic cancer and certain types of lung cancer. Again, if you find that you have lost around 5% of you weight within the last 6 months to a year, and you did not make the decision to lose weight, then you may want to see your doctor for this unexplained weight loss. Those who are older or are considered frail will find that any unexplained weight loss needs to be discussed with your doctor. Your doctor will go through a serious of questions, look at your other issues, and start testing to see what could be the underlying cause for your weight loss. In many cases, a person may simply need a change in diet in order to get their weigh back to where it needs to be, which a doctor can help to determine through testing and talking with the patient. Server responsed at: 04/22/2019 4:48 a.m.